This complete Palmetto State Armory Pistol Lower with SB Tactical SBA3 Adjustable Brace is fully assembled and ready for your Pistol Upper! 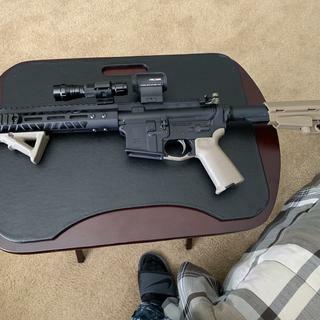 Will this be registered as a pistol or do I need to do anything else to make sure I'm legal having a barrel under 16"? Are you able to remove thr brace from the buffer tube? When do you expect to have these in stock? What is the LOP on this lower? 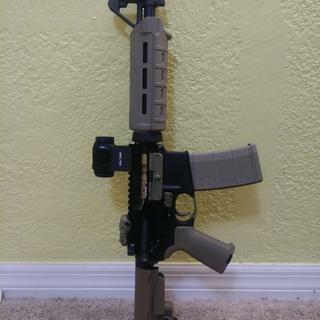 Does the FDE Stock match the accessories? I love this lower! It was the perfect fit, and it was shipped very quickly. Completely exceeded my expectations ! Honestly at the price I got this for I didn’t have gold standard expectations but man what a pleasant surprise ! The time and money saved by buying this pre assembled lower makes it worth it alone. 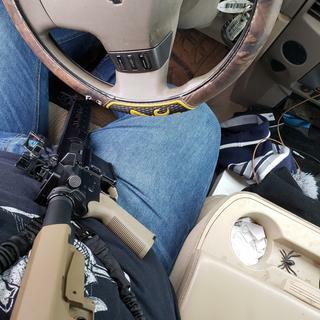 The brace is tight and not rattling, the receiver is nicely finished with no tooling marks or defects, a perfectly functional mil spec trigger and a decent grip, all I had to do was snap on the 10.5 upper assembly (also PSA) and I have a pretty sweet AR pistol for about 400 clams. It all just works and I couldn’t be happier with the decision to buy it ! You NEED to put this in your safe! Excellent buy. Well worth the money. If you have an AR rifle then you need to get an AR pistol. When you do get PSA you WON'T be disappointed!!! No problems at all with function or quality! Ordered on 2/24 and it arrived at my LGS on 2/28! Everything is just as advertised....well made and fit right. 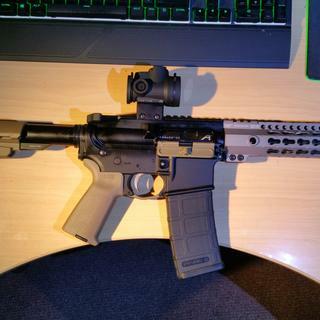 Mated it to my AERO MOE 10.5" upper and it fit nice and tight! Took it to the range and fired 200 rounds flawlessly. The EPT trigger is great, short take up and a crisp break at about 6#. Second EPT I have. With match pins and a spring swap I will get 4 pounds easy! All in all another typical purchase for me from PSA.....quick shipping and great quality! Mahalo PSA! My latest. The Holosun was from a Daily Deal with the 10 magazines! Shoots really nice! 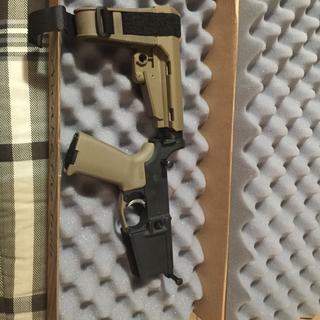 You can't go wrong with this lower if you're looking to put together a pistol length AR. The special finish on the FCG gives a smoother pull, easier to clean too. Love it! 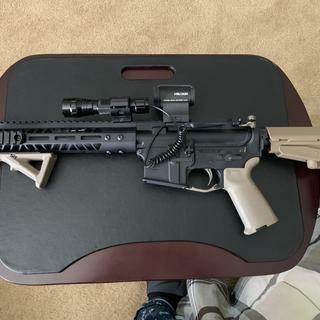 Aero 7" bbl,MI 9.25" HG,Noveske Pig5 muz,Aero BCG,Rad.Rapt CH,Strike poly DC,MI Gasbl,MRO. Lower has worked out great so far, only have a few hundred rounds through it yet but so far so good. Looks and feels good.